This summer I am thrilled to be working as a student researcher at Dana Farber Cancer Institute, one of the hospitals affiliated with Harvard Medical School. Last week, my supervisor told me about a recently published study from the Harvard School of Public Health, which found that over the course of a 16-year period, participants who regularly attended religious services had a 33 percent lower mortality rate than those who never attended religious services. 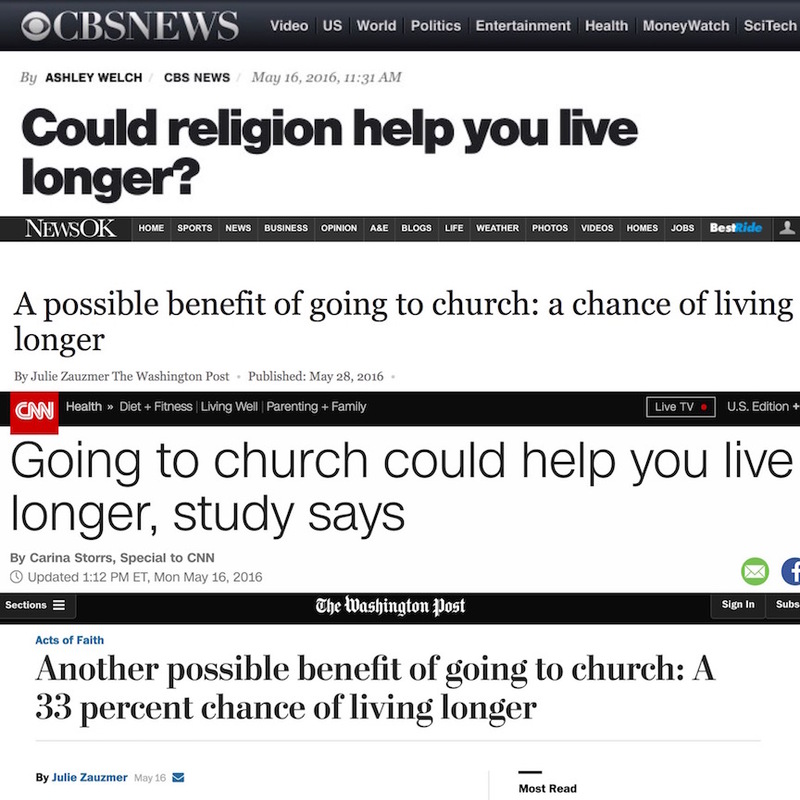 [i][ii] In other words, while all the participants would have died eventually if the study had continued, in general those who regularly attended religious services lived significantly longer. What?! At first I didn’t quite believe him (I somehow had the audacity to question both the word of a Harvard Medical School researcher and the work of a Harvard School of Public Health research team XD ). However, after asking several questions about the statistical rigor of the study, reading the study myself, and then considering it over the past few days, I’ve actually come to think the study results make a lot of sense. The study indicates a rather undeniable connection between religious service attendance and mortality (see my P.S. below), plus I realized the results actually fit within my paradigm of spirituality and Connectedness (but in case you’re concerned, this blog post won’t send you running to a church/temple/mosque/synagogue unless you want to!). As I mentioned, the study shows that those who regularly attended religious services were less likely to pass away over the course of the study than those who never attended religious services. When this result is generalized to individuals outside of the study like you and me, it suggests that religious service attendance can have a significant impact on our well-being and length of life. Furthermore, what I find especially interesting is that when social support (i.e., support from one’s community, including friends, family, people in one’s religious congregation, etc.) is taken into account, it only explains part of the variance. This means that while social support explains some of the effect, it by no means explains the whole reason that religious service attendance is linked with decreased mortality risk, neither does having a personal spirituality, engaging in healthy behaviors like not smoking, or other potential confounders. Therefore, this study shows that beyond having social support, a personal spirituality, and a healthy lifestyle, religious service attendance seems to offer something else, a unique “je ne sais quois,” that contributes to our well-being. Keeping this in mind, it seems the key is the combination of religion and community, as though there is something uniquely beneficial about participating in, being accountable to, and drawing support from a community that centers on shared religious beliefs and rituals. Yet, the HSPH study does make me wonder if there are ways for Religious Nones to still accrue the same benefits in a non-traditional way. Instead of the key combination being religion and community, perhaps it is actually spirituality and community. This would not change the importance of religious communities for religious individuals, but it would mean there are options for the non-religious, particularly if spirituality is defined as the human experience of Connectedness. Viewed in this way, it may be possible for a non-religious community to have similar benefits as a religious community, but only if a central component of the community is some form of spirituality and Connectedness. “In the Buddhist tradition, the word sangha originally referred to the congregation of monks and nuns who followed the way of the Buddha. Today in the West, the concept of sangha has expanded. The key element that distinguishes a sangha or conscious community from other social organizations is the commitment to a particular and shared set of values and to shared practices or ritual that serve spiritual awakening. Some of the best-known sanghas in our culture are twelve-step groups, communities whose members help one another stay free from addictive behaviors and transform their lives for the better. Perhaps, as Brach’s words suggest, it is possible to find spiritual communities in a variety of locations, with a variety of people. 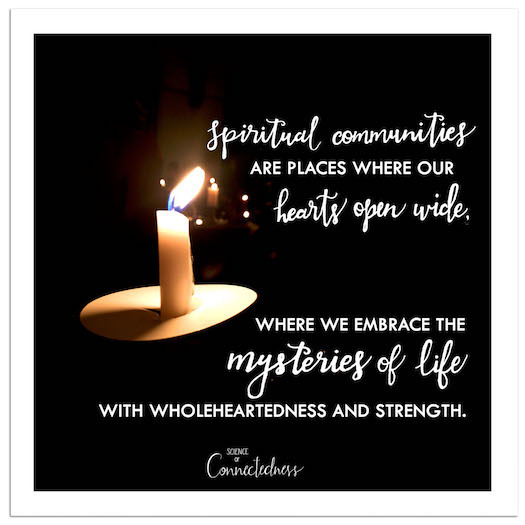 Perhaps spiritual communities are places where our hearts open wide, where we embrace the mysteries of life with wholeheartedness and strength. Perhaps it is simply about intentionality, about purposefully cultivating a shared sense of Connectedness with family, friends, and communities. Nevertheless, intentionality is a key word here, as it is often simpler, especially for those whose spirituality is primarily a personal practice, to not make the effort to engage with a religious or spiritual community. Yet, as the HSPH study has shown, there is something unique about combining spirituality and community that contributes to our well-being and length of life. Of course, acquiring health benefits should not be our sole purpose for engaging with religious or spiritual communities; rather, the health benefits should be taken as an indication that these types of communities are an important aspect of human life. 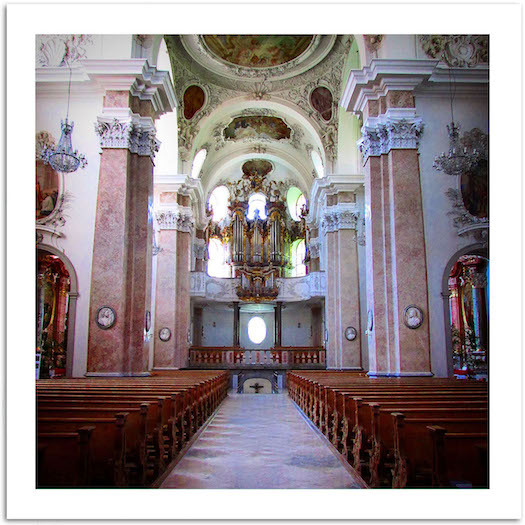 Therefore, for any Religious Nones reading this blog post, I encourage you to engage with a spiritual community. Let the HSPH study guide you to set aside time with family and friends for Connectedness-inspiring conversations, to find a regular meditation group to join, or to create a recurrent study group around a spiritual text (or blog 😉 ). If you do, you may be extending your life!